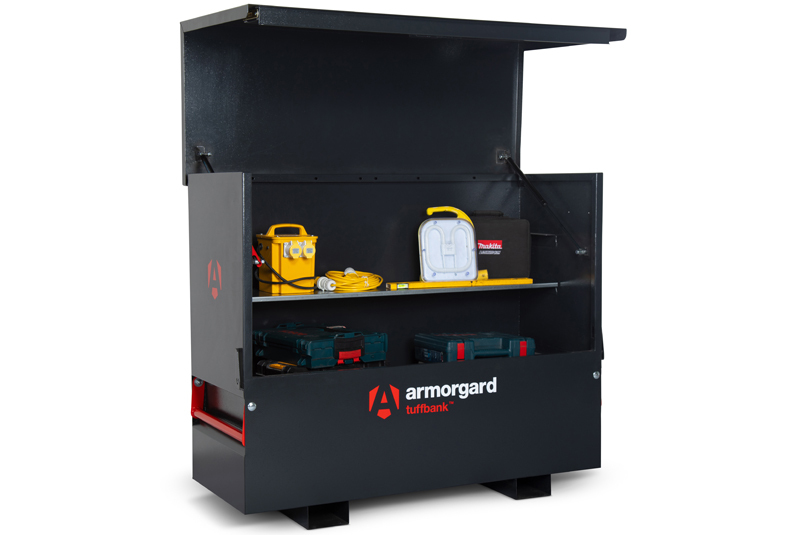 Armorgard has introduced a second-generation TuffBank tool vault. The new model includes additional safety, strength and security features, and optional PowerShelf and lifting eyes to a product that has been tested and certified by Sold Secure and Secured by Design – the UK’s official police-preferred specification. The TuffBank range tool boxes and tool chests, which was launched over 20 years ago, has become one of Armorgard’s consistently best-selling products. The latest model adds a new slam stop lid stay that enhances user safety. It also includes anti-jemmy features and hardened steel plates that make locks almost impenetrable, inset handles for a streamlined finish and a cable passing point for charging without compromising security. In addition, Armorgard has introduced the PowerShelf to instantly transform TuffBank into a secure power source. This optional extra includes four 110v sockets and four USB ports. Also available are crane lifting eyes and robust castors to allow for easy movement. The new TuffBank range is available in eight different sizes.